Marijuana farm investor Serge Chistov is shrugging off anti-weed rhetoric from Attorney General Jeff Sessions as just a bunch of reefer madness. "If Sessions picks this fight, he's going to lose," said Chistov, an investor in the Honest Marijuana Company in Colorado, the first of eight states that have legalized pot for non-medical use. "He's going to be fighting against the money." Recreational pot is already for sale in Oregon, Washington, Alaska and Colorado, where Chistov praises its benefits to the economy. "I'm not changing my business plan one iota," he said. "This is the winning strategy." He said legal pot's popularity will help him prevail against any possible federal intervention, which would cost too much tax money to implement effectively. Under the Obama administration, eight states and Washington, D.C. voted to legalize recreational marijuana. Colorado, Washington, Oregon and Alaska were the first states to do so, and they've already developed a regulated, taxable industry for recreational marijuana, with dispensaries and growers. The other four states voted to legalize recreational marijuana on the day Trump was elected, but haven't had time to develop a regulatory structure. Sessions hasn't said anything specific about what he's going to do about marijuana, or if he's going to do anything at all. But it's still illegal under federal law, and Sessions has made it clear that he's against legalization. 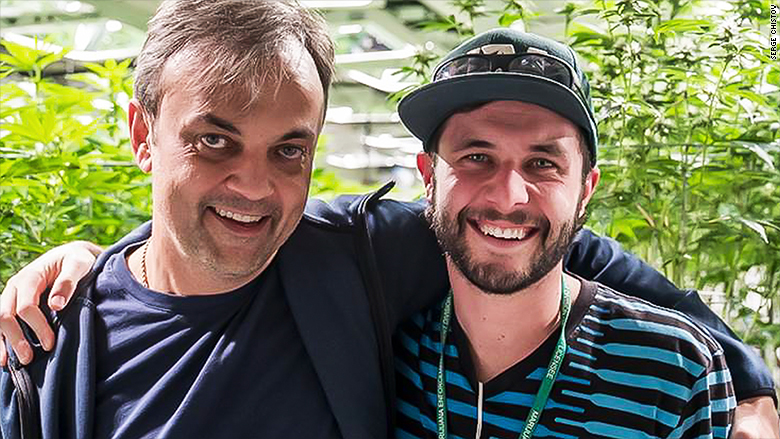 Serge Chistov, investor in the Honest Marijuana Company in Colorado, (left) with grower Stephen Boone, isn't afraid of Attorney General Jeff Sessions. "I reject the idea that America will be a better place if marijuana is sold in every corner store," he said, in a speech in Richmond, Va., last month. "And I am astonished to hear people suggest that we can solve our heroin crisis by legalizing marijuana -- so people can trade one life-wrecking dependency for another that's only slightly less awful." The Attorney General recently appointed a task force to review "existing policies" for marijuana and to "ensure consistency" with the anti-drug policy of the Trump administration. Separately, White House press secretary Sean Spicer has said to expect "greater enforcement" of federal marijuana laws. Steve Rusnack, owner of the Full Bloom Cannabis dispensary in Fort Kent, Maine, sells medical marijuana and would like to expand into recreational now that it's been legalized by the state. But he's concerned about the possibility of a federal crackdown. "If I start seeing DEA agents locking down recreational businesses out West, I'm going to stick with medical," said Rusnack. "I've got a family. I don't want to get locked up." Maine is one of four states, along with California, Nevada and Massachusetts, that voted to legalize recreational marijuana last year. State lawmakers still have to work out regulations, and local jurisdictions also have to set tax rates and make zoning decisions as to where the dispensaries will be located. Marijuana investors, farmers and retailers typically start out with medical and then branch into recreational as their states legalize that, too. Many of them are pushing ahead, undeterred by Trump. Zach Lazarus, COO of the Green Alternative Medical Marijuana Dispensary in San Diego, and Priscilla Vilchis, CEO of Premium Produce, a medical marijuana company in Nevada, both said they're going to start selling recreational cannabis in accordance with state laws. Related video: Will recreational marijuana soon be legal nationwide? 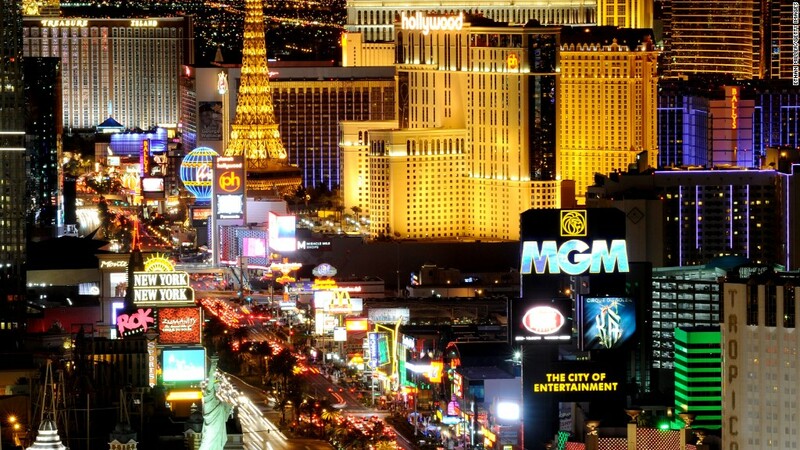 Business is booming, and it's expected to grow. New Frontier Data, which analyzes the cannabis industry, projects that it could top $21 billion in annual sales by 2020 and employ 300,000 workers nationwide. "Can we put the genie back in the bottle? Most people would say no," said Giadha Aguirre De Carcer, the firm's founder and CEO. 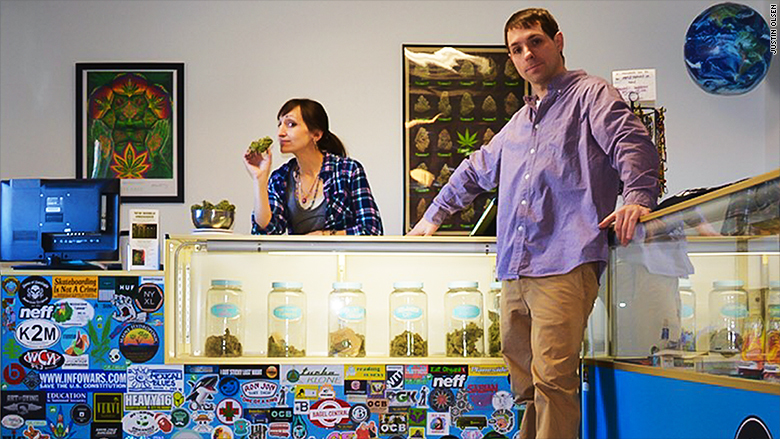 Justin Olsen of New World Organics, a medical marijuana dispensary in Maine, is watiing to see what the Trump administration does before expanding into recreational. Justin Olsen of New World Organics, a small dispensary and grower in Belfast, Maine, was considering expanding when the state voted to legalize recreational pot last year. He wants to serve recreational customers at his dispensary in addition to medical patients, and to open an Amsterdam-style cannabis café. But the anti-marijuana rhetoric from the Trump administration has prompted him to take a "wait and see approach." "I believe that the attorney general will do what he says he's going to do," said Olsen, who doesn't want to risk the disruption to his business. But given the widespread popularity of legalization, he's optimistic that the industry will triumph in the end. "I think everybody's tired of the drug war," he said.